We have all experienced the Team Sports of the past, including, but not limited to Baseball, Football, Soccer, Softball, Tennis and Golf. We, as parents, recognized early on that keeping our kids busy and involved in team sports gave our kids confidence, and skills needed to work in a “team” environment. These are skills we knew our kids would take into college and the working world. If you do not own your own boat “yet”, another great way to see if your child and his, or her friends are interested, is to take them on a charter fishing. Let them work with a guide, learn the aspects of respecting the waters, the catch and in addition, the time away from the day to day tether to their smartphones. Charter Boat Captains can teach your teen the tricks, the popular baits and likely locations to land that fish! Most recently High School Fishing Teams have been making headlines. Young and old, all can enjoy the sport of fishing. One of the fastest growing youth related movements across the country are high school fishing clubs, according to the Bass Federation. 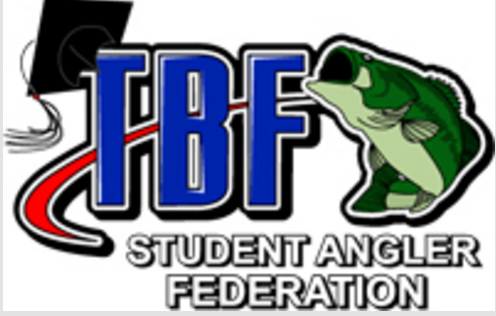 The Bass Federation, the nation’s oldest and organized fishing organizations, has initiated the development of the Student Angler Federation. One of the most noteworthy high school teams here in Louisiana, made headlines when their B.A.S.S. Nation Team was formed at Hahnville High School. The first year (2014-2015) they did not have a team to qualify for the state tournament, but by it’s second year, they had SEVEN teams to qualify, hosted at Dorion’s Landing in Morgan City, Louisiana. The team of Andrew Melancon and Andrew Granier finished sixth, the highest placement for the Hahnville contingent. It has become so popular among high school youth, there is even a Facebook Page dedicated just to the Louisiana High School Bass Fishing Teams. There is a big push now for Louisiana High School Athletic Association (LHSAA) to recognize the B.A.S.S. High School Fishing Sport, and the Student Angler Federation is helping to push this through as a recognized High School Sport. Information on how to start a team at your school can be found at B.A.S.S. High School Fishing Sport, and the Student Angler Federation. For a two-member fishing team to compete in a state event, they must adhere to stringent rules and regulations. The boat is to have a manufactured built-in live well. Also, have working running lights, life jackets for everyone on board that must be worn while the motor is running. Furthermore, there is a five-fish limit, artificial lures only are allowed, you must have an emergency kill switch, and there are mandatory break times.